We all have them, those extra "comfortable" pants we wear when we just can't squeeze into our normal ones. You curse yourself for every overindulgence and transgression you've committed. We're here to tell you it has less to do with your jeans, and more so with your other genes. 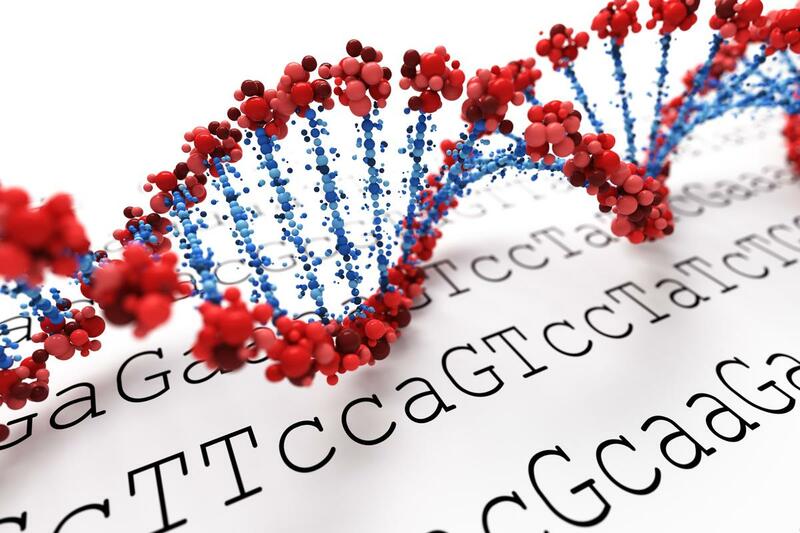 We've discussed the FTO gene before, but in today's blog we'll look at a lesser known but equally important gene, TCF7L2. We'll dive into what it does, it's diabetic risk associations and how for some of us, a popular weight loss diet plan may actually be making things worse. As its vague name might suggest, the function and mechanisms of transcription factor-7 like 2 (TCF7L2) eluded researchers for many years. However, it has been discovered that this gene works in complex regulation with a signaling system called Wnt. Together they work to induce transcription of genes involved with fat cells and blood sugar regulation (1). Its effects help to control glucagon and insulin release, the hormones that affect the push and pull of sugar in our circulating blood (2). Mutations in the gene have been shown to impair the ability of the insulin-making pancreatic beta cell to release the hormone (3). It also is central to the synthesis of glucagon-like peptide 1 (GLP-1), whose release is triggered by dietary fat to lower blood sugars. More recently it has also been implicated that in our fat cell differentiation, it acts as a switch to activate more fat cells when triggered with Wnt signaling which also influence their growth and sensitivity to insulin (4). Because of its regulatory role in blood sugar, the TCF7L2 has commonly been referred to as the diabetes gene. Research has found the two strongest associations for type 2 diabetes risk to be the polymorphisms rs12255372 and rs7903146 (5). In either case, the risk T-allele provided the greatest risk of progressing from glucose intolerance to diabetes if both copies of the risk allele were inherited (6). Although risk for diabetes tends to take the spotlight, the association of TCF7L2 to our body’s response to dietary fat intake is also of great interest. In a 2 year weight loss study, overweight individuals that had the rs12255372 risk allele lost more body fat by consuming a low-fat diet where only 20% of calories came from fat. Those with the risk allele who were on a high-fat diet where 40% of calories came from fat retained their weight. Alternatively. those who did not have a risk allele lost weight regardless of high or low dietary fat content (7). Similarly, in a 10-week randomized trial on weight loss, those with the TT double risk allele for rs7903146 lost 6 more pounds on average when placed on a low-fat diet (8). The study also found that the low-fat diets reduced waist size by a further inch more for those better fitting jeans. Caucasian, Hispanic-American Japanese and African-American ancestries. Losing weight is hard enough already without being bombarded with fad diets at every turn. It’s especially overwhelming when there’s a new diet being advertised seemingly every week. While some of these diet programs do show some scientific evidence, most do not consider the importance that your genetics play in them actually being successful. Case in point, the very popular ketogenic diet that emphasizes low carbohydrates and high fat. As we’ve seen, high fat is the last thing you want in a diet plan for those containing the risk allele mutations in TCF7L2. Instead, if you have a T risk allele, a more successful weight loss plan should emphasize low fat content such as those found in the DASH diet, Mediterranean diet, or other similar low-fat diets. One randomized study found that a Mediterranean diet not only negated the adverse effects of TCF7L2, it also reduced the risks for cardiovascular and stroke risks (9). Besides helping to maintain a healthy weight, recents studies have generally pointed to low dietary fat helping to remove the increased diabetes risk and having other added metabolic benefits such as greater HDL good cholesterol levels (8, 10). Knowing our genes is a big step in taking the guesswork out of losing weight and choosing healthy options. If you’re at risk with the TCF7L2 gene there are steps you can take to completely nullify it. Choosing a proper and appropriate diet that complements your genetic makeup can be incredibly helpful to maintaining a healthy weight and obtaining lasting health.